Hello Doodlebugs! 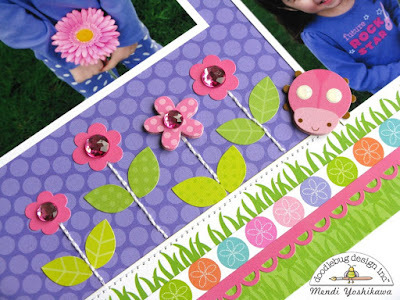 It's Mendi here today with a layout showing a mix of three favorite collections: Under The Sea, Spring Garden and Kraft In Color. I completed my design with some flower icon stickers and some doodle pop stickers from Spring Garden with some hand stitched stems and some cupcake gems added to their centers. Such a sweet smile! Love this Mendi! This is such a pretty and delightful page! The color palette you chose allowed you to combine lots of sweet elements from different collections. Beautifully done! What a BLOOMING BEAUTIFUL job Mendi did on this layout - these photos and the Doodlebug products she used look like they were made specifically for each other, Such a match made in heaven!! I love Mendi and think she is a great asset to you!! Not sure which I love more - the color combo or the details of the layout but this is beautiful! This is so super cute Mendi!! 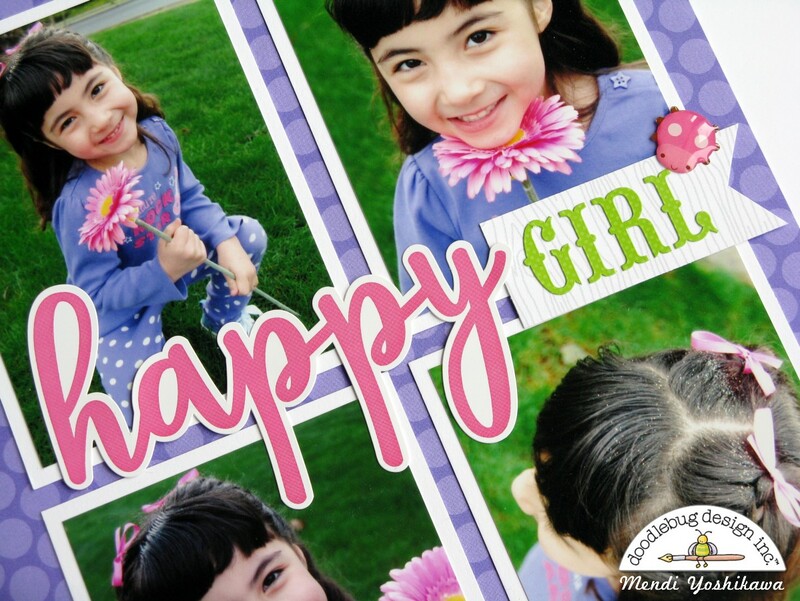 I love that you used so many photos and love all the ladybugs! !